In this beginner piano lesson, I explain the basics of the circle of fifths, and how the major scales are formed. We start with the key (and scale) of C major, go five steps up (a fifth) to G major, then to D major, A major, E major, and F# major. Then we travel the opposite direction (down): C major, F major, B flat major, E flat major, A flat major, D flat major, G flat major. I show you how to play most of these scales by dividing them between two hands (easier for beginners). 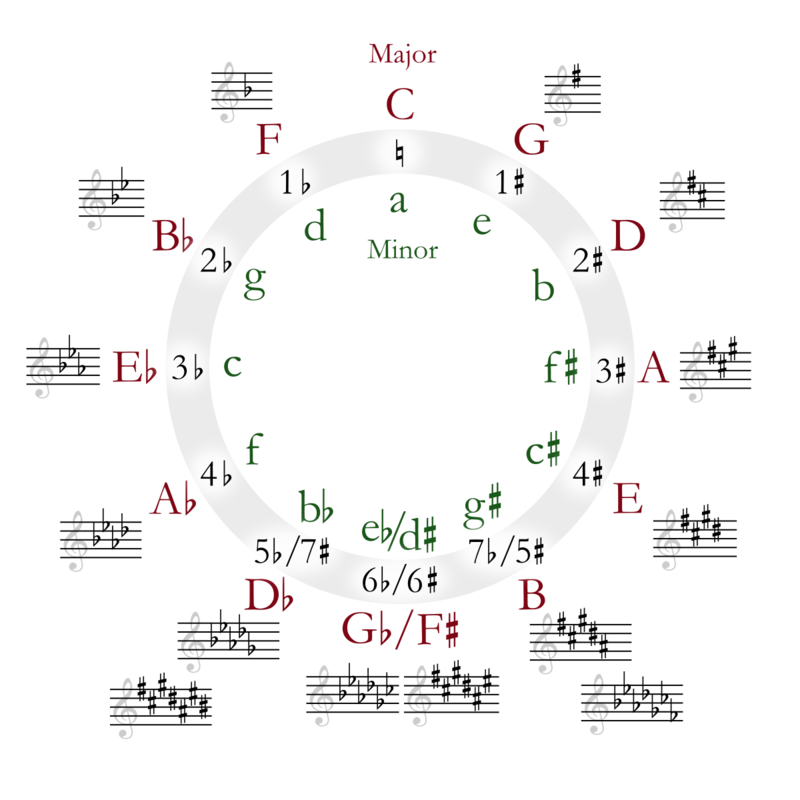 The circle of fifths is a visual model that helps us understand the pattern in the major keys. You start at the top - at the key of C major (no black keys/no sharps). Each step along the circle is a fifth on the piano (five steps). So, from C you go a fifth and arrive at G. The key of G major has exactly ONE sharp. The next step takes us to the key of D major, and it has exactly TWO sharps. The next step - key of A major - THREE sharps. And so on. On the left side, you start with the key of C again (no flats/no sharps). You go to the key of F major - one flat. Next, the key of B flat major - two flats. And so on. This circle also names the corresponding minor keys. The key of C major and the key of a minor both have zero flats/sharps. Similarly, the key of G major and the key of e minor have one sharp.